Do you really need divorce counseling? The marriage is over but you still have a family. Beyond your physical separation, there are kids who still need your attention and parenting. Navigating all of these changes only trigger the resentment and anger that led you to here in the first place. Does a healthy, mutually cooperative relationship seem like an impossibility? 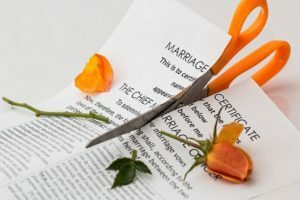 Through divorce counseling, you will see how letting go of the struggle to stay together opens up the possibility of reconnecting with the parts of the other you liked at the beginning of the relationship. Our therapists can help you foster good-will and healthy communication, even if it was not present during the marriage. Learn how to be good co-parents, how to navigate these changes in your family without more drama and angst and how to move forward together in a new way that is in the best interest of your children. Contact us here for a consultation and to schedule your first appointment for divorce counseling.